Hong Kong loves words. Against the ubiquitous neon signs, smartphone chatter, and blaring pop, the bands that are making music without the need for a lyric sheet are surely on to something. In a night exploring the boundaries of wordless music, Prune Deer were the archetypal post-rockers, with a sound most closely resembling post-rock behemoths Explosions in the Sky and God is an Astronaut. That’s not to say the local group is derivative: Prune Deer draws influences from across the post-rock spectrum, layering languid melodies over steadily building walls of guitar distortion during a sinfully short set. 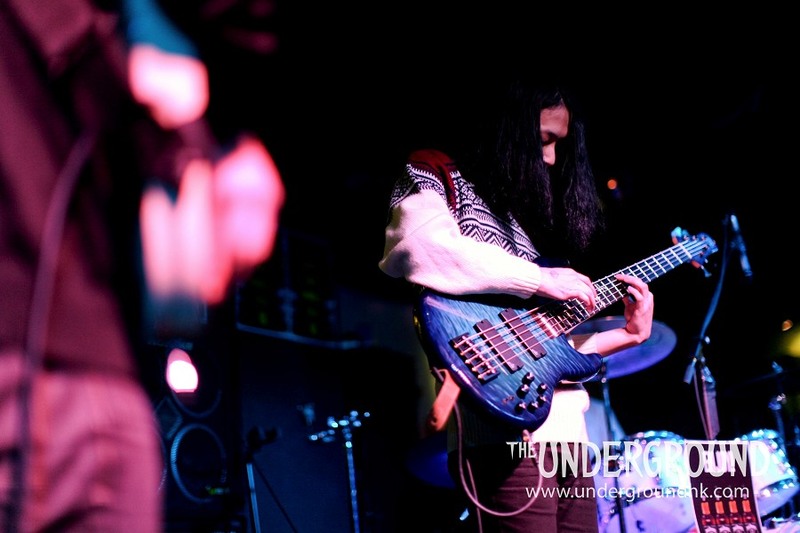 The crowd stood enraptured as lead guitarist Hanz worked wizardry from floor level, while endearing bassist Narziss and rhythm guitarist Nature kicked their shoes off and made themselves at home. With sparkling guitar and snug rhythms, gorgeous, gossamer melodies were spun into great crescendos. “Tango Night” evoked the same progressive math rock noodlings as And So I Watch You From Afar’s A Little Solidarity, before closing song “HeatDeath” was a shimmering spider’s web of flittering melodies building to a spine-tingling climax. A must-see at Clockenflap 2015.